10 week Bible Reading Plan for you to read to your young children. Includes Scripture, activities and snacks for each day! If you have younger kids, this is the Summer Bible Reading Plan for you! It has suggested Bible reading, activities and snacks for a ten week plan. It is intended to help you get your child into the Bible every day – and to have fun in the process! If you have older kids or teens, you can find their plan here. Also, check out BOLD: A 10 Week Study for Families and Churches for a Bible Curriculum based off this reading plan! The Bible plan includes opening skits and activities, Biblically sound Bible lessons, Bold Believer Biographies, and additional activities to reinforce the lessons. It is easily adaptable for all age groups and group sizes. I hope this plan helps you and your child grow closer to Jesus (and to each other) this summer! ___ Day One: Read John 3:16-17. Ask: Do you like gifts? What is the best gift that you have ever gotten? Do you know that we get you gifts because we love you? God also gave you a gift because He loves you! Do you know what that gift is? It is JESUS! Activity: Make a fun cross/heart craft with your child. Cut up a toilet paper tube into several pieces. Then put paint on a paper plate. Help your child dip the toilet paper tube ends into the paint and then “stamp” it on a piece of paper. If he squeezes the toilet paper tube correctly, it should make a heart shape (you might have to help with this). Have him do this several times to fill up a piece of paper. When the paint dries, cut the paper out into the shape of a cross and then glue the cut out cross onto a piece of construction paper, giving you a nice “heart/cross” craft. Snack: Use graham crackers, cream cheese and cut up strawberries and blueberries to help your child make a cross. Cover the graham cracker with cream cheese. Then help your child place the blueberries and strawberries to form a cross on the graham cracker. Talk about the gift of Jesus as you make the snack. ___ Day Two: Read Romans 5:8. Yesterday we talked about how God’s gift to us was Jesus. Jesus came and died for us . . . even though we have done many, many bad things. He loves us and wants to forgive us of all the bad stuff we have done and clean us from our sin! That is a BOLD LOVE! Activity: Take your child outside today and play in the mud! Talk with your child about how fun it can be to play in mud, but it sure gets us messy! How can he possibly get clean? Discuss. Then take your child inside and help him clean up . . . perhaps with a fun bubble bath! Talk with your child about how, when we sin, it makes us real messy, too! The sin is yucky and dirty, and only one thing can clean it up! What is it that can clean us up when we sin? JESUS! Snack: Cut a piece of bread into the shape of a heart. Then help your child spread a jelly of his choice over the top of the bread. When we let Jesus into our hearts, He covers over our sins and makes us YUMMY again . . . just like this jelly made the bread yummy! ___ Day Three: Read John 15:12-14. We need to LOVE others, just like Jesus LOVES us! Sing Jesus loves me with your child . . . then help your child pray for his friends and for ways that he can show them love. Activity: Help your child make a chain of people. Then help him write ways that he can be a good friend on each of the people. You may also choose to have him decorate the people to represent his friends! Snack: Make friendship bread! Help your child mix up the ingredients to make his own bread, and then help your child give away some starters to his friends. ___ Day Four: Read Matthew 5:43-45. Are we only supposed to love our friends? NO! We are supposed to love everyone . . . even those people who are mean to us! That’s hard, isn’t it? Is there anyone who is mean to you? Let’s pray for that person right now! Activity: Help your child make a card for someone that he has a hard time loving. Send this card anonymously. If he doesn’t feel that he can send it, have him keep it some place special and use it as a reminder to pray for this person every day. If there is no one that your child has a hard time loving, help him make a card for someone else. Snack: Make homemade lemonade with your child . . . but don’t add the sugar. Take a little sip. What do you think? This is kind of sour, isn’t it? It doesn’t really taste as good as lemonaid should. Do you know why? It is missing a very important ingredient! Take out the sugar and mix the sugar in. Now try it. It’s better, isn’t it? You know, when we don’t love everyone, we don’t taste very good either. We need to add love to our life and that will make us much . . . sweeter !!! ___ Day Five: Read Luke 10:25-37. (Note: This is a long section of Scripture for little children, but it has a great message! If your child can’t sit through the whole reading, read a little and then tell him the rest of the story.) Ask your child “Who should we show love to?” We should show love to EVERYONE! How can we do that? Activity: Give your child several plain bandaids. Have him use the bandaids to help him remember ways that he can show love. Help him draw or write ways to show love to others – one way on each bandaid. Then have him stick all the bandaids together in the shape of a heart. Snack: This is one time where it is okay to play with your food!! Use gummy bears or E.L. Fudge Cookies to help your child retell the parable of the Good Samaritan. ___ Day One: Read Mark 5:25-34. Say: The woman in these verses was very sick and none of the doctors could help her. She went to the only person who could help her – Jesus! What did Jesus do for her? She had FAITH that Jesus could help her, and He did! Activity: The woman in today’s passage reached out and touched Jesus and then she was healed. Play a game with your child where he has to reach out and touch something, too. Hang a paper up on the wall with the name of Jesus on it (or a picture of Jesus). Then set up a short obstacle course. Your child has to run through the obstacle course and reach out and “touch Jesus”. Say: Sometimes it might feel like there are a lot of obstacles in our way . . . things that make it hard for us to have faith and trust Jesus. But we need to run through those obstacles and reach out to Jesus, anyway, just like the woman in today’s lesson! Snack: Use food to help your child retell today’s passage. Choose whatever food you have on hand (potato sticks, carrot sticks, pretzels, goldfish crackers . . . anything could work) and have your child arrange the food to make a crowd of people, Jesus, and the woman. Have your child push the “woman” through the crowd to get to “Jesus”. Then have fun eating the snack together! ___ Day Two: Read Matthew 8:5-8, 13. Say: Wow! This Centurion had a lot of faith, didn’t he? He knew that Jesus could heal his servant by just saying the word. We need to have that same BOLD faith! Activity: Make a Centurion helmet with your child. Let your child use this helmet to pretend to be the Centurion in today’s lesson! Snack: The Centurion’s servant was paralyzed, that means he couldn’t move! Let’s see how you would do if you couldn’t move! Place a snack in front of your child, but he can only move his head to eat it! (A banana might be fun . . . how can he eat the banana if he can’t peel it?) After he has struggled for awhile, talk about how happy the servant must have been when, suddenly, he could move again! Let your child eat the snack in the normal way! ___ Day Three: Read Mark 10:46-47, 51-52. Put a blindfold on you child and lead him through your house. How does it feel when you can’t see? How do you think the man in today’s passage felt when he couldn’t see anything? He showed BOLD faith and asked Jesus to make him well . . . and Jesus did! Activity: Jesus healed the blind man so he could see. How well can YOU see? Play a game of “I spy” with your child. Take turns “spying” different things in the room. Each time someone guesses correctly, talk about how great it is that Jesus healed the blind man so he could see! Snack: Help your child make “eyes” out of banana slices and chocolate chips or raisins. ___ Day Four: Read Matthew 17:20. Show your child a packet of seeds. Take some of them out and look at them. Look at how small these seeds are . . . yet when you plant them, they will grow into something big! (If you have any of the seeds full grown, show that to your child, too). All we need is a LITTLE bit of faith, and God can take that and make BIG things happen! Activity: Plant a seed with your child (sunflower seeds are really fun for this illustration). Take time to water it and care for it every day. Talk with your child about how this little seed is growing. In the same way, our faith will grow, too! Snack: Eat an apple with your child . . . but first, cut it in half and examine the seeds. Talk about how the seeds are little, but they made a yummy apple. Our faith might be little, but God can use it to make something good, too! ___ Day Five: Hebrews 11:1, 6-7. Who had faith in these verses? How did he show that he had faith? Activity: Help your child make his own ark! Use cardboard boxes, blankets (like a blanket fort – only you will be making a blanket ark), or anything else you have on hand. Then have your child bring his stuffed animals in to the boat. Talk about how Noah showed that he had faith when he made this boat! ___ Day One: Read 2 Kings 5:1-5. 9-14. Do you know what leprosy is? It is a sickness that hurts the skin! Poor Naaman was in pretty bad shape – but someone spoke up and helped him. Someone was bold! Who was that? (the servant girl). She was a really bold servant, wasn’t she? Snack: Eat some dots (or other candies that remind you of leprosy). Talk about serving others while you eat. ___ Day Two: Read Luke 1:30-33. Who was God’s servant in these verses? Mary was! Mary did exactly what God told her to do! Are you God’s servant, too? Activity: Make an angel craft! Snack: Make a snack to represent the birth of Jesus. Use mini-hot dogs, croissants, and potato sticks to represent baby Jesus. Unwrap a croissant and place a hot dog inside of it. Wrap it back around to represent swaddling clothes and then cook the whole thing for as long as the directions on the croissant package say to cook the croissants. Serve over potato sticks (the hay). ___ Day Three: Read John 13:5. Get out a bucket of water and a washcloth and have fun washing your child’s feet today! Talk about how Jesus served His disciples by washing their feet as you are washing your child’s feet. Activity: Have fun with feet today! Have a tickle-the-feet contest to see who can last the longest without laughing or moving their feet! Paint with your feet and then have fun cleaning them off! Talk about what it meant to wash someone’s feet and how that was a bold act of service. ___ Day Four: Read Mark 10:43-45. The one who is great is the one who serves others! What does it mean to be a servant? How can you serve others today? Snack: Serve your child a snack! Pretend you are a servant and treat your child to a delicious snack and excellent service! Let him be the servant, too, if he wants! ___ Day Five: Read Philippians 2:5-11. Jesus was the best servant! If Jesus served others, shouldn’t we? Activity: Jesus became a baby! Look at baby pictures with your child. Look at pictures of your child as a baby, and then some of you as a baby if you have any. Talk about all the things babies can and can’t do. It must have been very humbling for the KING of the Universe to become a baby and totally depend on others for everything! Snack: Eat some baby food . . . or eat some pudding, but feed it to each other just like you would feed a baby! ___ Day One: Read Malachi 3:8-10. We should always give to God! Activity: Make a bank together that you will use to collect money during the week. On the weekend, take that money in to church and put it in the offering! Snack: Make special “giving cookies” today. Make circle-shaped sugar cookies and then help your child decorate them to look like money. Every time you eat one, challenge your child to be BOLD in his giving! ___ Day Two: Read Mark 12:41-44 The woman in today’s story was very BOLD in her giving because she didn’t have very much – yet she gave it anyway! What do you have that you can give God? Young children love pretend play, and this Bible story is great for that! Gather some of your child’s stuffed animals or other toys and act out this story with him! Activity: Help your child draw pictures of what he can give to God. Snack: Eat some chocolate coins to remind you of the gift that this widow gave. ___ Day Three: Read 2 Samuel 24:24-25. What did David say in these verses? David wanted to make sure that his gifts to God cost him something! He was BOLD in his giving! Activity: Help your child go through some of his things and choose some to give away to others who could us them. Snack: David purchased the threshing floor . . . a threshing floor is where the grain is harvested. Help your child make homemade bread to remind you both of David’s sacrifice. Then GIVE some away!! ___ Day Four: Read 2 Corinthians 9:6-7. God loves a ________________________. (Cheerful Giver). What does it mean to be a cheerful giver? Are you always a cheerful giver? What do you think a CHEERFUL giver looks like? Have your child smile really big! Snack: Create your own snack to remind you of giving . . . and be cheerful while you are making it!! ___ Day Five: Read Acts 20:35. This is a hard verse for young children, because young children often want lots of things for themselves! Help your child memorize the last part of this verse: “It is more blessed to give than to receive”. Give your child a bunch of coins and have your child give you one coin each time he says a word of the verse. Continue until all the coins are gone and the verse is memorized. Let him keep one coin, but have him give the rest away! Activity:Teach your child how to write the word GIVE. Then go outside with sidewalk chalk and write the word “GIVE” in large letters. Have your child draw pictures of things that he can give others all around the word. You can add your own pictures, too! Snack: Make pancakes together. (Add blueberries or chocolate chips if you want). Let the pancakes remind you of the coins that were given away in this week’s lessons – and how we should be BOLD in our giving, too! ___ Day One: Read Daniel 1:8-16. What was the bold stand that Daniel and his friends took in this chapter? They did the right thing – even when no one else did. That is BOLD! Activity: Paint with vegetables today to remind you of the bold stand that Daniel and his friends made. Here is a preschool lesson to go along with this passage. ___ Day Two: Read Daniel 3:13-18, 24-26. This is a great passage about taking a bold stand! You might want to read it to your child from a Bible storybook or show a video of the story today, too. Activity: Act out this story together! Use stuffed animals or miniature figures (or whatever your child has on hand) and have fun retelling the story with the toys – together! Snack: Make a fire and roast marshmallows. Think about how this story could have ended if God had not stepped in! We don’t know what will happen to us when we stand for what is right, but we need to still STAND! ___ Day Three: Read Acts 7:54-60. Stephen took a BOLD stand! He was BOLD for Jesus, and he ended up being killed because of it! We need to always be BOLD for Jesus, no matter what! Activity: Decorate rocks and make a rock garden to remind you to always stand for Jesus! Snack: Eat rock candy! (or other hard candy) Talk about how it is important to always be STRONG like a rock when we are standing for Christ! ___ Day Four: Read 1 Samuel 17:20-23, 41-49. Who took a BOLD STAND in these verses? David was just a young boy, but he knew he could do anything with God! Activity: Goliath was 9 feet tall. Measure out 9 feet on a sidewalk and mark it with sidewalk chalk. Have your child lie down beside it to give him an idea of how he would compare to Goliath. Use sidewalk chalk to draw a figure shaped like Goliath and then a figure shaped like your child. Have him carefully toss stones (or beanbags) into the head of the Goliath figure. Talk about how God can help you take a bold stand! Snack: Give your child some crackers and have him try to stack them as tall as he can to make a “giant”. Then let your child eat the crackers one at a time, telling you one way he can take a bold stand for each cracker he eats. ___ Day Five: Read 1 Peter 5:8-9. Who is ultimately trying to destroy you? Satan is trying to get you to fall away from your faith. He is prowling around like a roaring lion. Pretend to be roaring lions. See how loud you can roar! Isn’t it great to know that God is with you and can help you take a BOLD stand against the devil? Activity: Play hide and seek with your child. When you find him, remind him that satan is SEEKING for people to tear down, too. When satan comes after us by tempting us with things we shouldn’t do, we need to RUN! Run around the house chasing your child . . . have fun! Snack: Use an english muffin, peanut butter or cream cheese and other tiny foods to help you make a lion face. Then eat that lion . . . remembering that some day Satan will be defeated, too! ___ Day One: Read James 5:17-18. How was Elijah bold in his prayer? Elijah prayed that it wouldn’t rain, and God answered his prayer! Wow! That was a BOLD prayer! Activity: Get out a spray bottle and fill it with water. Then have fun praying “rain” prayers. Squirt your child with water, and every time you squirt him with water, he needs to pray for something or someone else. When you are finished, have an all out water fight! ___ Day Two: Read 2 Kings 19:1. Do you know what King Hezekiah did as soon as trouble came his way? He prayed! We should PRAY whenever trouble comes our way, too! Activity: Trace your child’s hand on a piece of paper. Have him draw or write one thing he wants to pray for in each finger of the hand. Then pray together. Snack: Make (or eat) pretzels! Pretzels were originally made to remind us of praying hands! ___ Day Three: Read Daniel 6:6-10, 16-18, 22. How did Daniel show BOLDNESS in his life? Daniel prayed NO MATTER WHAT! Act this story out with your child, too. You can get paper plates and make lion masks out of the paper plates. Then you can let your child be the lions, while you are Daniel. Switch places and you be the lions. After you finish acting it out, talk about how Daniel was bold in prayer. Activity: Help your child make his own lions’ den. Use blankets to make a blanket fort. Go inside and talk about how Daniel might have felt in the lions’ den. Then pray together. Snack: Eat a snack inside of your new blanket fort lions’ den! ___ Day Four: Read Luke 11:9-13. These verses tell us to ask God and to seek after Him! Take turns knocking on the door and opening it for each other. Talk about how, just like we answered the door for each other, God will answer us when we pray! Activity: Draw a picture of a door. Then have your child write things he wants to pray for on that door. Hang this picture to one of the doors in your house, and every time you open that door, pray for what is on that list! Snack: Eat goldfish! (re-read verse 11 to see how this snack fits in). ___ Day Five: Read Romans 8:26-27 Do you ever wonder how to pray? These verses tell us that the Holy Spirit will help us pray! Since He will help us, we know we can be BOLD! Activity: Take your child on a walk today – a prayer walk. Stop at places and pray for things as you walk! Snack: Help your child make a prayer chain – a necklace out of cereal or other fun snacks that you can put on a string. Let each food item stand for something to pray for. Let your child wear the necklace to remind him to pray for each of those things. Let him eat the necklace when he wants. ___ Day One: Read Luke 12:8-9. We need to be BOLD and tell people about Jesus! Activity: Take turns standing up and saying, “I Love Jesus”! Let your child set up all his stuffed animals and then have him stand up and say that in front of them. Snack: Use strawberries to make the shape of a mouth on a piece of paper. Then, have your child say one thing he knows about Jesus before eating each strawberry. ___ Day Two: Read Acts 26:19-23. Paul was on trial for being a Christian and he kept speaking about Jesus. He wasn’t afraid of what would happen to him . . .he was BOLD. We need to be BOLD, too! Activity: Help your child make his own “jail” out of boxes or other items around the house. You might also choose to have him make a jail out of building blocks or other toys. Talk about how some people go to jail for what they say about Jesus – but they are still BOLD and talk about Him! We need to be the same way! Snack: Use food to make a judge’s gavel. You can use whatever food you want – bananas and marshmallows, pretzels, hot dogs . . . be creative! ___ Day Three: Read 2 Samuel 12:1-7 Nathan was BOLD in his speech to David. He had to say something, even though David didn’t want to hear it. We need to say things that are right, no matter what! Activity: Watch “King George and the Ducky” by Veggie Tales. Sing along with Nathan’s speech!! You can also make a lamb craft. Snack: Use cauliflower and grapes to make a little lamb snack! ___ Day Four: Read Jeremiah 1:4-7. God had a plan for Jeremiah’s life from before he was born! God has a plan for YOUR life, too! Activity: If you have an ultrasound picture of your child, look at it with him. Talk about how God knew him even when he was in his mommy’s tummy . . . and God has a plan for his life! Talk about how God wants your child to say BOLD things for Him. Snack: Make a mouth snack! Use apple slices and tiny marshmallows, or anything else you choose! Use this snack as a reminder to always speak God’s Words wherever He wants you to go! ___ Day Five: Read Ephesians 4:29. We need to be careful what words come out of our mouths! Make sure we are only saying GOOD words! Activity: Is your speech SWEET or SOUR? Have fun with sweet and sour foods today. Get a variety of sweet and sour foods and let your child sample them. Talk about which ones he liked and which ones he didn’t like. How is our speech like sweet food? Snack: Eat some salt and vinegar potato chips!! Use them to remind you that your speech should be sweet, seasoned with salt, and not bitter! ___ Day One: Read Genesis 22:1-3, 9-12. Who was asked to make a bold sacrifice in these verses? Activity: Use sticks and stones (or whatever is available) to help your child make his own “altar”. Have him draw pictures of things that God might want him to give up for Him. Place those things on the altar. Snack: Use pretzel sticks and marshmallows to make your own snack altar. ___ Day Two: Read Luke 23:33-38. These verses tell us about the greatest sacrifice ever. Jesus sacrificed Himself for us so that we could be saved! Activity: Help your child collect sticks and then glue them together to make a cross. While you are working, remind him of the sacrifice that Jesus made for us. Snack: Let’s not forget that Jesus didn’t stay dead! He rose from the dead and conquered sin and death once and for all! Use chocolate donuts and chocolate sandwich cookies to make a snack representing the empty tomb. Cut the donut in half and place the cookie in front of it (that is the stone in front of the tomb). Celebrate the resurrection of Jesus today! ___ Day Three: Read Romans 12:1.We should give God US! Make an altar out of sticks or find something to use as an offering plate (you could even draw one on a piece of paper) and have your child step onto it. Have your child say, “Lord, here I am! I am all yours!” Talk about what that means. Snack: Make another altar snack! This time, use graham crackers and frosting. ___ Day Four: Read Luke 9:23-25. God should be more important than anything else in your life! Use the cross that you made out of sticks the other day and have your child carry it around the house. Talk about how we need to be willing to do what God wants us to do every single day! Activity: Help your child trace his hands several times on different colored papers. Help him cut them out and then glue them together in the shape of a cross. Talk about the verses you read today as you are making this craft. Snack: Make a cross using licorice sticks, frosting and graham crackers. Frost the graham cracker first, then put the licorice on it in the shape of a cross. If you want, add colored candies to decorate it. ___ Day Five: Read Hebrews 13:15-17. God likes it when we praise Him! How can we praise Him? 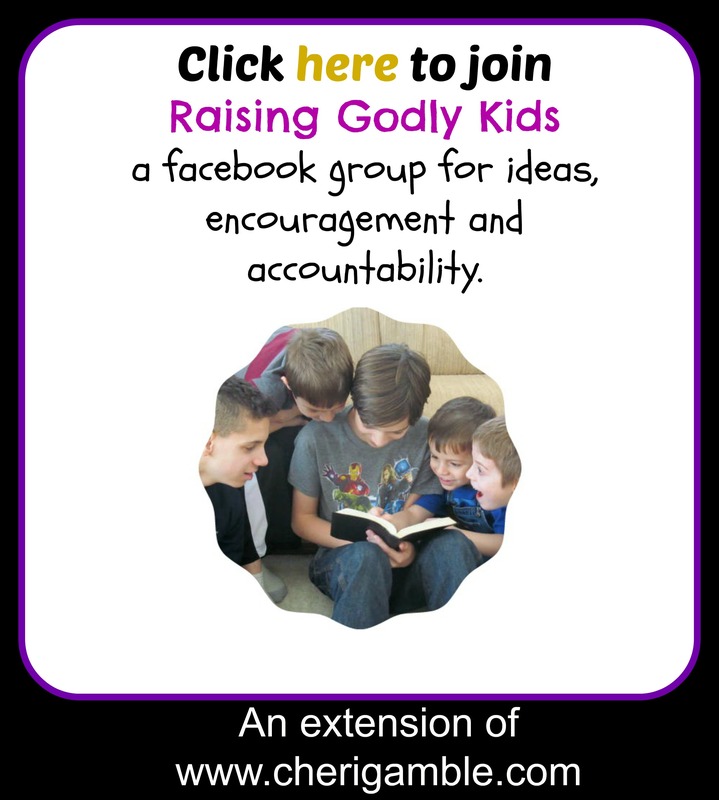 Activity: Help your child make a fun instrument to use to praise God. Put a little rice (or beans) inside a cup and then use duct tape to tape that cup to another cup with the rice inside. Decorate the outside of the cups. Use these new shakers to sing songs of praise to God! Snack: Make a guitar out of food! Cut bread into the shape of the guitar and use slices of carrots and sliced grapes for the strings. Here’s a fun song to sing together to offer a sacrifice of praise! ___ Day One: Read Jeremiah 20:1-2. How did Jeremiah live a bold life? Jeremiah was hurt because he was BOLD for God, but He still kept right on being BOLD for God! Activity: A prophet went around and told people God’s words. Help your child make a scroll today. Give him paper and have him draw or write something that points to God. Then help him roll it up and put a rubber band around it. Have him carry that scroll around the house, telling people God’s words! Snack: Make your own jail out of pretzels and marshmallows (or any other food you want). ___ Day Two: Read Esther 4:16. Do you know the story of Esther? She lived a very bold life! Her boldness saved the entire nation of Israel! Watch a video or read the story of Esther from a Bible storybook. Activity: Esther was a beautiful queen. Make your own crown today! As you are making the crown, talk about how Esther was BOLD and did the right thing no matter what. ___ Day Three: Read Nehemiah 6:1-9. Here is another person who lived a bold life. Nehemiah was bold and did what he had to do, even when others were trying to get him to stop! Activity: Help your child build a wall! Use whatever you have to make a wall like Nehemiah did. Let the wall you build remind you both that you can do anything through Christ! Snack: Build a wall out of different types of melon! ___ Day Four: Read Proverbs 28:1. How do the righteous live according to this verse? How can you be as bold as a lion? Activity: Help your child dress up like a lion and run through the house being BOLD! Snack: Use cheese crackers, grapes, and bananas to make a lion. Help your child arrange the cheese crackers to form a mane, and then use the grapes and bananas to make the eyes, nose and mouth. ___ Day Five: Read Joshua 1:7-9. Joshua was told to be STRONG and COURAGEOUS! Help your child remember those words by making muscles when he says “Strong” and making a fist when he says “Courageous”. Repeat them over and over again, using the motions and seeing how loud and quickly he can do it. Activity: Here is a fun experiment that can remind you of how God can make you BOLD! Take a bar of Ivory soap. Unwrap it and put it on a microwavable safe plate. Then put it in the microwave. Turn the microwave on high and watch what happens to the soap. Remind your child that this is what happens to us when we put our trust in Christ – He takes what little boldness we have and makes it BIGGER for Him! He helps us be BOLD! Snack: Sometimes when we think of being strong, we think of muscles! Of course, we don’t need muscles to be strong and bold for Christ . . . but this could make a fun snack! Get giant marshmallows and pretend that they are muscles! Say one way that you can be BOLD for Christ for each marshmallow you eat. ___ Day One: Read Joshua 2:1-7. Rahab was BOLD in these verses. She hid the spies – even though she could have gotten in trouble! Activity: This chapter involves spies! Help your child make his own spy costume and sneak around the house. Play a game of hide and seek with the spy costume! Snack: Hide a snack around the house and have your child try to find it. Talk about how it took BOLDNESS for Rahab to hide the spies. ___ Day Two: Read Genesis 6:11-22. Noah took BOLD actions when he built the ark! Watch a video or read this story from a Bible storybook. Activity: Pretend your couch is Noah’s ark. Gather up your child’s stuffed animals and get them safely on the couch. Then the two of you should get on the couch, too. Pretend it is raining and you are stuck on the couch. Talk about Noah’s ark. Snack: Eat animal crackers one more time! Activity: Try writing your name left handed. (If you are left handed, try writing your name right handed.) Remember, Ehud was left-handed! Snack: Ehud blew a trumpet to let people know that deliverance had come! Eat bugles today! ___ Day Four: Read 1 Kings 3-4. Obadiah did some pretty BOLD stuff! He hid 100 prophets to keep them safe from the evil king! Activity: Hiding 100 prophets would not have been easy! Ask your child if he thinks he could hide 100 prophets. How about not 100 prophets, but all your stuffed animals (or other type of toy he has). Challenge your child to hide those toys and then see how long it takes you to find them. Switch places and hide the toys from your child. Talk about how BOLD Obadiah must have been to hide the prophets. Snack: Eat bread and water – the food that Obadiah fed the prophets. ___ Day Five: Read Judges 7:19-23. Gideon did some pretty BOLD actions in these verses! How did he trick the Midianites and save his people? Snack: Make cupcakes or some other fun food to celebrate the completion of this Bible reading plan!